G.K. Chesterton once called America “a nation with the soul of a church.” He was referring, in part, to the habitual tendency of Americans to cast political and social events as scenes in the drama of salvation. From the start America’s story was a religious story. In the 1630s English Puritans represented their journey across the Atlantic to America as the exodus of a New Israel out of Old World slavery into a promised land of milk and honey. And through the centuries, the story of the American Israel would serve as our nation’s most powerful and long-lasting myth. But to black Americans the nation was not a New Israel but the old Egypt, condemned to sure destruction unless she let God’s people go. The existence of slavery, segregation, discrimination, and racism contradicted the mythic identity of Americans as a chosen people. African-American Christianity has continuously confronted the nation with troubling questions about American exceptionalism. Perhaps the most troubling was this: “If Christ came as the Suffering Servant, who resembled Him more, the master or the slave?” Suffering-slave Christianity stood as a prophetic condemnation of America’s obsession with power, status, and possessions. African-American Christians perceived in American exceptionalism a dangerous tendency to turn the nation into an idol and Christianity into a clan religion. Divine election brings not preeminence, elevation, and glory, but—as black Christians know all too well—humiliation, suffering, and rejection. Chosenness, as reflected in the life of Jesus, led to a cross. The lives of his disciples have been signed with that cross. To be chosen, in this perspective, means joining company not with the powerful and the rich but with those who suffer: the outcast, the poor, and the despised. Out of this prophetic tradition the civil-rights movement emerged in the 1960s to offer one of the most powerful critiques of American society, including not only Jim Crow in the South but eventually what Martin Luther King Jr. would call the “giant triplets of racism, extreme materialism, and militarism.” King, the most eloquent spokesman of the movement, clearly drew upon the resources of black religious protest, but he also drew upon the critical thought and action of a variety of figures from other traditions, such as Thoreau, Gandhi, Rauschenbusch, and of course the Hebrew prophets. The prominent presence of such figures as Rabbi Abraham Joshua Heschel, Greek Orthodox Archbishop Iakovos, and Roman Catholic priests and nuns in the front lines of civil-rights marches demonstrated the deep moral resonance that moved peoples of different faiths to protest injustice, based upon the age-old call of their traditions to seek justice and show mercy. Religions throughout history have motivated some to stand on the margins of society as critics of the dominant cultural and religious values. The American experiment offered these traditions a special role. Freedom of religion, despite the long-lasting cultural hegemony of evangelical Protestantism, gave leeway to various religious groups to fight discrimination and establish public worship and public institutions. And by so doing, they made politically viable in this nation the principle of freedom of conscience and resisted the age-old tendency of governments to absorb religion into systems of state ideology. In the world, but not of the world. These words capture the antinomical relationship of the Church to human society and culture. On the one hand, the incarnational character of the Church establishes her in history, in this particular time and place and culture. On the other, the sacramental character of the Church transcends time and space, making present another world, the kingdom of God, which is both here and now and yet still to come. Throughout the history of Christianity, the temptation to relax this antinomy has led Christians to represent the Church as an ethereal transcendent mystery unrelated and antithetical to human society and culture. Or, alternatively, it has prompted Christians to so identify the Church with a particular society, culture, or ethnicity as to turn Christianity into a religious ideology. Because we are “not of the world,” Christians stand against culture when the values and behaviors of the culture contradict the living tradition of the Church. Christians cannot be distinguished from the rest of the human race by country or language or customs. They do not live in cities of their own; they do not use a peculiar form of speech; they do not follow an eccentric manner of life. This doctrine of theirs has not been discovered by the ingenuity or deep thought of inquisitive men, nor do they put forward a merely human teaching, as some people do. Yet, although they live in Greek and barbarian cities alike . . . and follow the customs of the country in clothing and food and other matters of daily living, at the same time they give proof of their own commonwealth. They live in their own countries, but only as aliens. They have a share in everything as citizens, and endure everything as foreigners. Every foreign land is their fatherland, and yet for them every fatherland is a foreign land . . . They busy themselves on earth, but their citizenship is in heaven. It is this perennial tension of being in the world but not of the world with which Christians continue to wrestle in 21st-century America. This tension is central to my own faith tradition, Christian Orthodoxy, familiar to most as Greek or Russian. 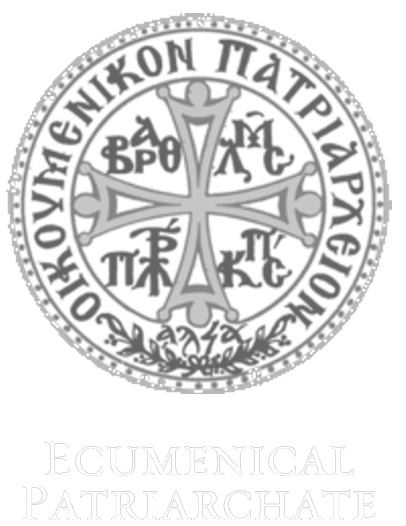 Historically, Orthodoxy refers to the Christianity of the eastern Roman Empire, centered on Constantinople or Byzantium, as distinct from that in the West, centered on Rome, hence Roman Catholicism. The two gradually drifted apart and officially broke in the year 1054, due to changes unilaterally made to the creed by the West and the East’s rejection of the Roman pontiff’s claims of primacy.  Orthodoxy first came to America with Russianmissionaries in Alaska in the 18th century and was established in the continental United States by migration in the 19th and 20th centuries from Greece, Russia, and the Balkans. I was born Roman Catholic but became Orthodox ten years ago, drawn by a series of experiences that constituted for me a spiritual renewal. I was drawn in part by a sense of profound similarity between Orthodoxy and the ethos of African-American Christianity. In both there is a quality of sad joyfulness, a sense that life in a minor key is life as it is; an emphasis on the importance of suffering as a mark of the authenticity of faith. Both African-American and Orthodox Christianity view the person as embodied spirit and inspirited body. Both understand matter and spirit to be related, not antithetical—hence the use of material and bodily gesture to reveal the presence of the spiritual to our bodily eyes. Both hold a profound trust in the healing power of ritual, which opens the door to the other world, revealing its presence within this world. Both understand the interpersonal nature of the self as shaped by a web of relationships stretching into the past and the future. Both criticize individual aggrandizement as destructive of the person. Notice that these beliefs, common to both Orthodox and African-American religious tradition, clash with dominant cultural attitudes and values.  Orthodoxy in particular offers, I believe, a distinctive view of the human person that can serve as an important critique of the definition of the core American value, freedom, the principle upon which Americans are most likely to agree. The American idea of freedom is centered on the rights of the individual person, but with the premise—more strongly observed at some times than others—that the respect due to the individual makes possible his participation in common, public, civic life. Freedom of conscience and freedom of choice enable individuals to participate in civil institutions, which exist to serve the commonweal. At its best, democracy balances the rights of the individual with the responsibility to participate in the public conversations and tasks that make civic community possible. However, the possibility of so stressing rights that we forget responsibility is a perennial threat to American liberty. The choice of privileging one over the other comes down to a simple, but profound question: “What is freedom for?” When Thomas Jefferson composed the Declaration of Independence he copied from John Locke the famous list of inalienable rights endowed upon us by the Creator—with one significant difference. Jefferson substituted for Locke’s life, liberty, and property, “life, liberty, and the pursuit of happiness.” Tragically, Americans ever since have found it too easy to reverse Jefferson by turning the pursuit of happiness into the pursuit of property. Precisely at this juncture, Orthodox Christianity levels a powerful critique of Americans’ addiction to consumerism, the dangerous collective illusion that reduces persons to objects and turns the interpersonal relationship into one of manipulation and exploitation. Orthodoxy offers a radically different vision of the person. We are created in the image of God. We are redeemed so that we may become more and more like the image in which we were made.In this process of theosis or divinization, we become by grace what God is by nature. A striking symbol of Orthodoxy’s opposition to the self-aggrandizement endemic to our society is our liturgical calendar, in which roughly half the year consists of days of fasting. Self-emptying, not self-fulfillment, is the purpose of Orthodox ascetical practice: “He must increase, but I must decrease,” we say with St. John the Forerunner. Or “Now I no longer live, but Christ lives in me,” with St. Paul. This is a very countercultural prescription in a society that promotes getting your fill. Individual rights have been turned into self-gratification. A cycle of ever-expanding need, gratification, need, drives our consumer society. This sense of interpersonal solidarity leads Orthodoxy to reverse the privileging of rights over responsibilities. In the words of Father Zosima, the monastic staretz, or elder, in Dostoevsky’s novel The Brothers Karamazov, “the moment you make yourself sincerely responsible for everything and everyone, you will see at once that it is really so, that it is you who are guilty on behalf of all and for all.” These mysterious words, echoing the offering of the Holy Gifts to God in the Anaphora of the Divine Liturgy, allude to Christ’s redemptive sacrifice on the cross, in which “He who was without sin became sin for us.” Father Zosima is saying that Christ’s sacrificial way is ours. This same sense of responsibility “on behalf of all and for all” also illuminates the lives of the monastic elders, who in their isolation become profoundly aware of the hidden connectedness of us all. The way to true freedom and recognition of our interpersonal responsibility, they taught, is through obedience, fasting, prayer, and humility, which, with God’s help, liberate the spirit from the tyranny of habit and desire, from a slavery to a hyper-individualism that leads eventually to isolation and despair. For Orthodox Christians, as for all people of faith, beliefs about the nature of the individual and society shape a political agenda; integrity requires that we argue not just with words, but with our lives as well. But those beliefs must make their case within the pluralistic agora of American society. The freedom of exercise clause of the First Amendment offers religion the freedom to live and express its values, and the non-establishment clause guarantees that each has to do so in the midst of supporting and conflicting claims. If American democracy offers religion an opportunity, American pluralism offers it a challenge. Pluralism challenges us to experience religion as more than a cultural identity. Pluralism means encountering the values and attitudes and beliefs of others with respect for those who hold them. Pluralism, when taken seriously as respect for difference, rejects relativism for avoiding the hard truth that we do indeed differ. It is the difficult road we walk to achieve a mature understanding of the truth and the opportunity to share that truth with others who are seeking it. It challenges us to appropriate, internalize, and live out the religious identity passed to us by family and society. It creates an opportunity to discuss and to argue for one’s own position. Consider the issue of abortion. When considered in the context of Orthodoxy’s holistic vision of the person within society, a whole web of moral issues emerges that does not necessarily align with any particular political party’s agenda. Abortion is clearly a paramount issue for many Orthodox (as well as many Roman Catholics and evangelical Protestants). The number of abortions performed today is horrendous. A large percentage of our fellow citizens, even those who think that too many abortions are being performed or that abortion should be to some extent restricted, have come to the conclusion that abortion is a matter of a woman’s choice. The Republican promise, implicit or explicit, is to take steps to reverse Roe v. Wade. Given the widespread division of public opinion and the even division of the Senate (which approves Supreme Court nominees), is this a credible promise? It would seem that the possibility of making abortion illegal anytime soon is remote. Those of us who believe that human life begins with conception and that life is a sacred gift have a huge task in convincing others of our vision of the person. It will not be enough to condemn abortion. Our position needs the credibility of a Mother Teresa, who could say, “Do not kill the children; give them to us and we will raise them.” We will need the hard, long, and beautiful work of counseling pregnant women, of giving our help to those who are poor and abandoned, of offering to adopt the babies brought to term. We need to support a fabric of social welfare that will support women (particularly young and poor women) facing unwanted pregnancies. It is interesting that Holland and Belgium, countries where abortion is legal, have relatively low abortion rates (due in part to an extensive social-service network), whereas Latin America, where abortion is generally illegal and social services scant, has a relatively high rate. In the United States the abortion rate went up during the presidency of Ronald Reagan and down under Bill Clinton. The idea that a Republican presidency is going to effect a shift in national attitudes or result in the overturning of Roe v. Wade seems to me a chimera. The concept of the sacredness of life must first extend to those our society devalues: the imprisoned, the impoverished, the disabled, the mentally ill, the alien, the enemy. Do you want to honor Christ’s body? Then do not scorn him in his nakedness, nor honor him here in the church with silken garments while neglecting him outside where he is cold and naked. . . . Of what use is it to weigh down Christ’s table with golden cups, when he himself is dying of hunger? First, fill him when he is hungry; then use the means you have left to adorn his table. . . . What is the use of providing the table with cloths woven of gold thread, and not providing Christ himself with the clothes he needs? The way to God lies through love of people. At the Last Judgment I shall not be asked whether I was successful in my ascetic exercises, nor how many bows and prostrations I made. Instead I shall be asked, Did I feed the hungry, clothe the naked, visit the sick and the prisoners. That is all I shall be asked. About every poor, hungry and imprisoned person the Savior says “I”: “I was hungry, and thirsty, I was sick and in prison.” To think that he puts an equal sign between himself and anyone in need . . . I always knew it, but now it has somehow penetrated to my sinews. It fills me with awe. The same passage from St. Matthew inspired these words of Mother Maria Skobotsova; it led her to found Orthodox Action in Paris in the 1930s to carry out this Gospel imperative, and it led ultimately to her death in Ravensbruck for protecting French Jews during the Nazi occupation. Houses of hospitality, hospice care centers, communities of caring that welcome the disabled, the orphan, the mentally ill, and the abused, can be sites of sanctity in the modern desert of need, as the life of Nun Gavrilia, an “ascetic of love” who worked among the poor in India and elsewhere, testifies. Such heroic action in the world “but not of the world” was made possible by a vision of the kingdom of God, the reign of God, in the here and now, made possible by his disciples following the precedent of Christ’s life, but never fully actualized until Heaven. It is for this kingdom that the Christian prays in the Lord’s Prayer: “Thy Kingdom come; thy Will be done on earth as it is in Heaven.” It is for the arrival of this kingdom of peace and justice that the Christian community, as the ongoing body of Christ in time and space, continually waits and acts. 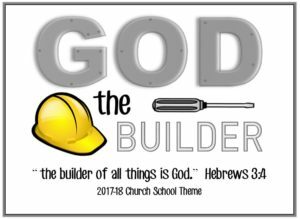 In this dynamic vision Christ is the transformer of culture because he makes present among us the kingdom of God. The concept of the kingdom of God was central to the theology of Father Alexander Schmemann, a leading figure in the American Orthodox Church, as it was for H. Richard Niebuhr, the eminent Protestant theologian, who wrote the classic texts Christ and Culture and The Kingdom of God in America. According to Schmemann and Niebuhr, it is crucial for Christians to realize that the kingdom is both here and now and still to come. To keep Christianity from being reduced to religion—just one more isolated compartment among the many that occupy the modern person’s life (this, for Father Schmemann, was the meaning of secularism)—it is essential to hold sight of the reality of the kingdom as present and as future. Secularism is not antireligious. It approves of religion by turning it into what Niebuhr called an “idol,” one among others suited to our self-gratification. Secularism, in this sense, robs the Church of its eschatological dimension. It is no longer the primary community for us, the source of our life and our joy, but one more activity in a busy week, competing with work, social life, and entertainment. The primary symbol of God’s transforming action in the world is the Eucharist. We offer the gifts of bread and wine, wheat and grapes transformed by human hands, to God, who returns them to us transformed by the Holy Spirit into the body and blood of our lord Jesus Christ. Here is the sacrament of the transformation of the entire world. Albert J. Raboteau is the Henry W. Putnam Professor of Religion at Princeton University and the author of Slave Religion and A Sorrowful Joy.